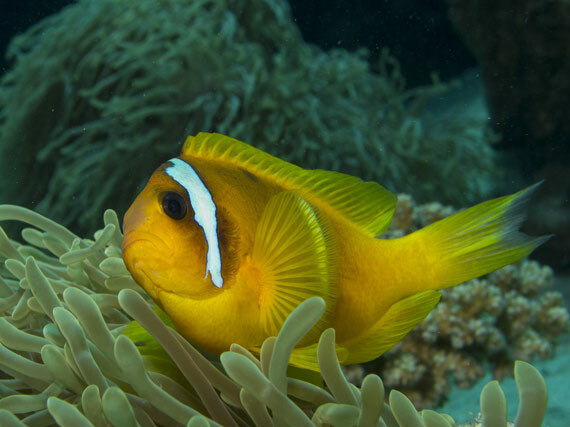 Oonasdivers is offering entry-level underwater photo tuition in the Red Sea with accomplished photojournalist, Patrick Shier. Patrick is an accomplished professional, and the perfect tutor for those with compact cameras and starting out in underwater photography. He is an experienced diver and a regular contributor to both UK and international scuba diving magazines. He developed the ‘Above 18m’ series, which appears regularly in the PADI sponsored Sport Diver magazine, and is the author of the UK Dive Guide, both of which promote diving in the UK and encourage newly qualified divers to discover the delights of diving in UK waters. Combine this with the ideal location of in the southern Red Sea and you have a fantastic diving holiday, tailor-made for photography enthusiasts. No need for fancy DSLRs here – Patrick uses a compact camera when he dives and has become an expert at capturing beautiful images of the underwater world, some of which have appeared on the covers of Sport Diver, Scottish Diver and Air Malta’s inflight magazine Skylife. The photography workshops for compact camera users run at Red Sea Diving Safari’s eco-villages in Marsa Shagra and Marsa Nakari. At these workshops he will be sharing his experience on how to get the best from a compact camera, equipping divers with the skills needed to graduate from being ‘point, shoot and hope for the best’ users, to becoming competent underwater photographers. The next workshop runs from 27 August – 3 September, priced £995, including flights from Gatwick, transfers, 7 nights full board in a tent, 5 days diving and the photography course with Patrick Shier.